As the Centre failed to form Cauvery Water Management Board within the given time provisioned for by the Supreme Court, the opposition of Tamil Nadu party Dravida Munnetra Kazhagam (DMK) is planning to organise a state-wide protest on a large scale starting from Friday, March 30. When asked about the tight security in the city and restrictions imposed on protests in Chennai, the leader said, Jallikattu-model protest organised at Marina can be replicated at the DMK headquarters itself. In the wake of Cauvery water dispute between Tamil Nadu and Karnataka, the Centre’s deadline to form a Cauvery Water Management Board within the given time provisioned for by the Supreme Court, ended on Thursday, March 29. 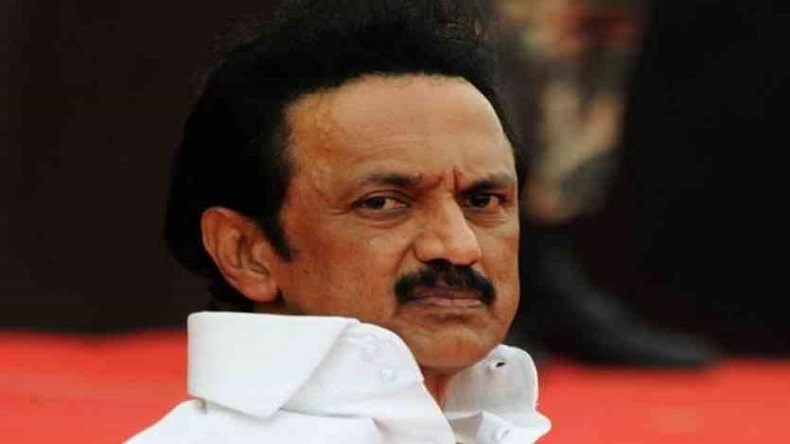 As the Central government failed to constitute the management, the opposition of Tamil Nadu party Dravida Munnetra Kazhagam (DMK) is planning to organise a state-wide protest on a large scale starting from Friday, March 30. According to top party sources, this agitation will be akin to Jallikattu (bull-taming) mammoth protests, which gained light in Chennai. Party source also said a session which including working president MK Stalin, late on Thursday night, discussed at least 3 ideas of protest. The Jallikattu protest brought many people on the streets of Chennai, including Marina beach. When asked about the tight security in the city and restrictions imposed on protests in Chennai, the leader said, Jallikattu-model protest organised at Marina can be replicated at the DMK headquarters itself. “Who will stop us if Anna Arivalayam (DMK headquarters) is going to be the epicentre?” The ruling All India Anna Dravida Munnetra Kazhagam (AIADMK) has fully surrendered before the Narendra Modi led-Bharatiya Janata Party and the Cauvery scheme is delayed as BJP is managing the upcoming Karnataka Assembly elections, added Mr Stalin. Cauvery water dispute is 124 years dispute between Karnataka and Tamil Nadu. The very start of the dispute was recording in the year 1881 when Madras Presidency had objected to Kingdom of Mysore’s plan of building a dam over Cauvery. After incessant years of divergence, an accord was hit between the 2 states in 1892 and was later replaced in 1924. Actor-turned-politician Kamal Hasan on Thursday, March 29, said he believed that the Centre was delaying the formation of the Cauvery Water Management Board due to forthcoming Karnataka elections.